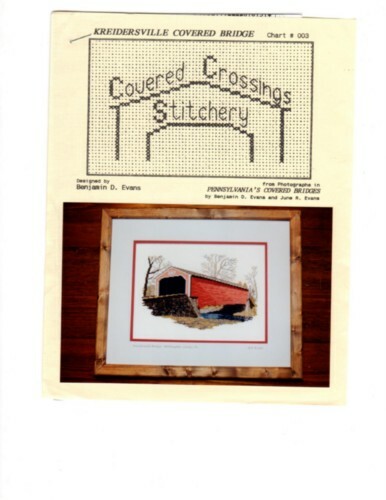 Covered Crossings Stitchery Kreidersville Covered Bridge cross stitch chartpack. Benjamin D. Evans. Pennsylvania's Covered Bridges. Stitch count 162w x 108h. This chartpack has been stapled together.